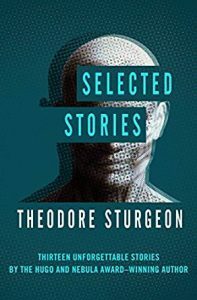 Selected Stories is a collection of his short stories. Some of these are down-right weird and I didn’t follow them all. But, they all deal with what happens to people when you put them in weird and extreme environments, with one of the last stories explicitly about how people respond when they are stressed. Each case is different, each stressor is different. In one case, a society begins to punish anyone that wants to be alone, that doesn’t want to constantly be with others. In another, a construction crew working on a remote island have to deal with heavy equipment that becomes possessed by some malevolent entity. Sturgeon has a marvelous and curious way with words. Phrases like “the music curved off and away to the places where music rests when it is not heard” and “He was a man who missed only the obvious, and there is so little that is obvious.” In one story, about a group of humans that find themselves stranded on an alien world and the way evolution works on that world, Sturgeon says “They worked like slaves, and then like scientists, which is a change of occupation but not a change of pace.” His words convey ideas that are so odd, it is a wonder to think of where he got them. Where does a mind wander to think of the things he thought of? A lot of his stories deal with perception and knowledge and how reality maybe doesn’t always mesh with how we think it is. “Wouldn’t we live in a funny world if we had to understand everything that was real, or it wouldn’t exist? It’s always good to know why. It isn’t always necessary.” In another story, he sort of continues this idea: “There’s always a reason for everything, and if we don’t know it, we can find it out. But just one single example of real unreason is enough to shake our belief in everything. And then the fear gets bigger than the case at hand and extends to a whole universe of concepts labelled ‘unproven.’ Shows you how little we believe in anything, basically.” Not only is it hard to to understand the universe, but our understanding is often based on ideas or beliefs that are fragile and easily shaken, even destroyed. Perhaps my favorite story is “The [Widget], the [Wadget], and Boff,” a story about people being intentionally stressed to make them move beyond their self-imposed limitations. In this story I feel like Sturgeon makes some pretty profound observations. I don’t want to give away the story, but, in one case, a man realizes that he has been so stressed about not being average, not being like everyone, then realizes that no one is average, that average describes a fictional human that is part of “one of the smallest minorities of all.” Few of us are literally average; average is all of us put together in some odd amalgamation. Sturgeon has another character who reflects on the nature of law, and if it is meant to be “a great stone buttress, based in bedrock and propping up civilization” or “an intricate, moving entity.” Very relevant for how our Supreme Court justices interpret the Constitution. Perhaps my favorite line in all of his stories in this collection: “If you ask a question the right way, you’ve just given the answer.” An interesting perspective particularly in the pursuit of science. As a kid, I was drawn a lot more to fantasy than to science fiction, mostly because, in science fiction, you have to suspend your disbelief regarding things that are rooted in science, while in fantasy, that foundation is explicitly thrown out at the beginning. That is, in fantasy, with its magic, dragons, elves, and demons, there was no pretense that the world could exist or was based on some realistic description of nature. Rather, that idea was tossed away and a new world with new rules was built. Science fiction, on the other hand, was meant to be an extension or extrapolation of our scientific understanding of the world and thus, in my mind, required a greater deal of substance to justify the more outlandish places that extrapolation took the author. That said, there is a genre of science fiction, called hard science fiction, that Wikipedia characterizes as having a much stronger emphasis on scientific accuracy. 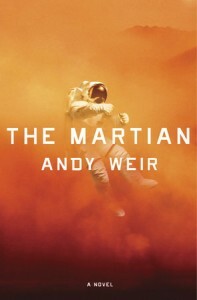 The Martian, by Andy Weir, is an excellent example of this genre. I haven’t seen the movie, though I imagine many others have. I actually read the book back in the spring, before the movie came out. The plot details the exploits of an astronaut who finds himself abandoned on Mars. For those who haven’t read the book nor seen the movie, I won’t spoil the plot any further. What I will say is that the plot takes scientific accuracy to an extreme, with the protagonist doing everything he can with the equipment he has to stay alive. Weir has been praised for the accuracy of his science by many professional scientists. Of course, there are a few quibbles here and there, but overall, the book strives for, and achieves, a very high degree of scientific authenticity. It is maybe not a surprise to learn that Weir grew up in Los Alamos, New Mexico. For a book that centers, for the most part, on one man lost on effectively a very remote and very plain island, the plot is fast paced and intriguing. On many occasions, one can’t help but wonder how the hero will solve the next problem he encounters. If I have one major quibble, it isn’t with the science itself (though I’m certainly not qualified to judge most of it in any technical depth), but rather that one person could be such an expert in so many disciplines. That is a conceit that a novel like this much have, but it is the one place where maybe a suspension of disbelief is really necessary to enjoy the story. Lisa and I went on our first date in on the order of three years, leaving our daughter in the care of a friend. We decided to spend our evening with dinner and a movie, and the movie we opted for was Inception. I’m not much of a DiCaprio fan, and my fiction leanings tend more towards fantasy than science-fiction. However, this is the type of sci-fi story that I do enjoy, one where the pseudo-science is used as background for the story and not as the entire crux. Here, the pseudo-science is that people can enter the dreams of others, either extracting or, in the very rare case that is the premise of the moving, implanting ideas and information. DiCaprio’s job is to plant a new idea in the mind of his employer’s rival. I found the world that Nolan, the director, created to be both rich and believable. (From what I understand, the plot was his idea, something he’s been working on for the better part of 10 years; he was more than just the director.) The real world is our world — the technological level is the same as ours. The only big difference is this ability to enter and manipulate dreams. As a result, all of the fantastic occurs in the mind. The special effects convey this fantastic world to a marvelous degree, though not outlandishly as sometimes our dreams can be. This is especially true in the scenes in the second dream level when gravity disappears. Overall, I enjoyed the plot. It made sense within the context of the rules of Nolan’s universe. The ways the different dream levels interacted both with each other and the real world also made sense, as did the potential for getting lost in dream world. Overall, the world Nolan created and the rules that dictated how it behaved seemed self-consistent. There weren’t major points that just didn’t work within the confines of the universe. Probably just as enjoyable as the plot were the characters. All of the actors did a great job with their characters. Even though most didn’t have much time to get fleshed out, they still were quirky and hinted at rich backstories that seemed intriguing. Each actor brought his or her A-game to these roles and made the film that much more enjoyable. So, not much to say with regard to specific points in the plot, to avoid spoiling it for anyone. 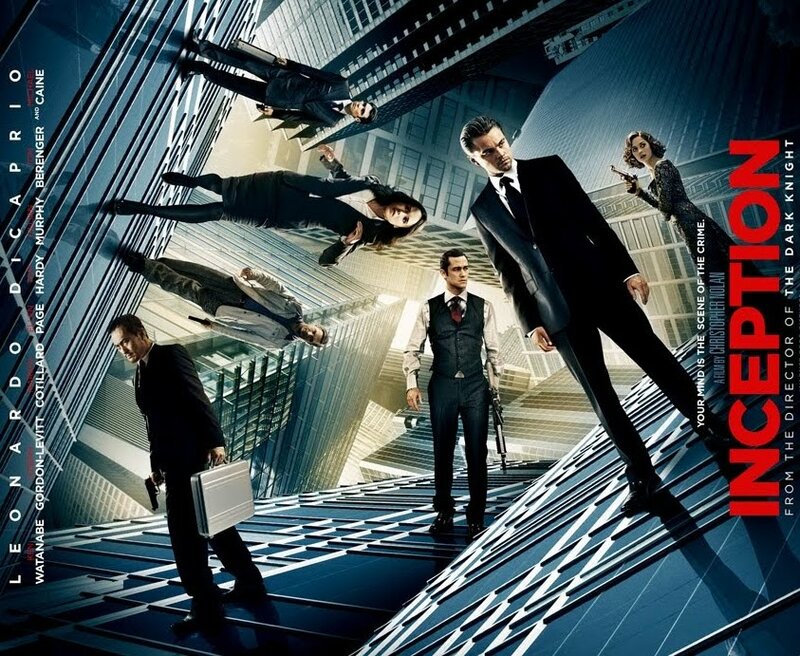 I would just say that I greatly enjoyed the film and would recommend it.